Does your business service a specific geographic location? If so, your Google My Business (GMB) listing is crucial to getting in front of your clients. Whether you have a special to promote, a blog you want to get eyes on or simply want more traffic to your business or WordPress site, you should Optimize and post weekly to GMB. Your GMB listing will show up in Google Searches and Google Map Searches! This is why it shouldn’t be neglected. GMB is NOT a set it and forget it site for your business. Tricia will share Local SEO tips, tricks and best practices to get your local business found. This will include: claiming your GMB account, optimizing your GMB account, posting to GMB, getting reviews, your NAP and much more! Tricia is a social media manager that focuses on pet businesses and video. She is the Chief Fur Wrangler with MuttButs.com. Tricia focuses on helping businesses improve their online presence through online marketing, including blog content, social media, videos and Google My Business. 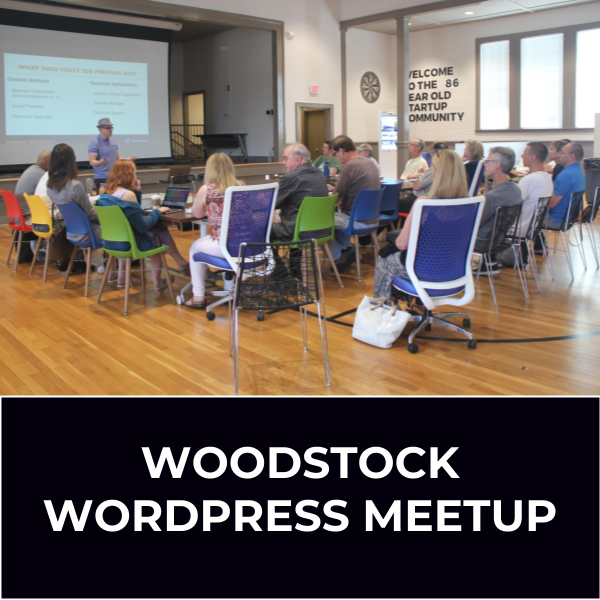 April Wier is the co-organizer of the Woodstock WordPress Meetup. She runs Sugar Five Design, a digital marketing company specializing in web design and SEO for growing businesses that want to grow faster. She is also the Lead Instructor of Local Service Academy, a community outreach program of Sugar Five Design that teaches members of the local community business development through lead generation.